The Paperback of My Story is on AMAZON!!! Click here to buy a copy from Amazon! Hope you like it! Please let me know if you do! It's all true. Just ask Dizzy. 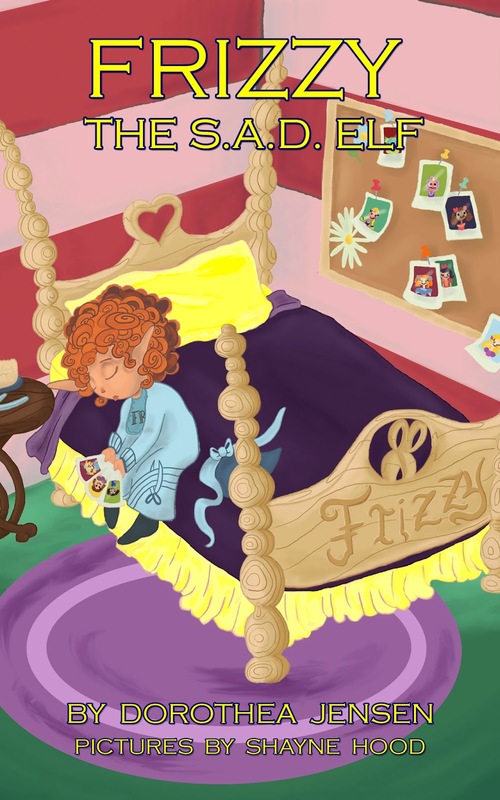 Have You Seen Our New Izzy Elves Portrait? NOW MY STORY IS A PAPERBACK!!!! Guess what! Deedy tells me that people can now buy my story, Frizzy, the S.A.D. Elf, in an actual paperback book. This is so exciting! Now I Have a Moving Picture, Too!!! I just wanted EVERYONE to know that Frizzy, the S.A.D. Elf, is now out there on the internet! Shayne Hood finished all my pictures, and Deedy (Dorothea Jensen to you) has done what she calls the Format Fight, and my story is now a Kindle book. The print version will be available VERY SOON (maybe tomorrow, Deedy says).